"Larkmead was one of the earliest founders of the Napa Valley Vintners Association and is proud to be embarking on their third century of crafting 100% Estate grown, Napa Valley wines. This wonderfully diverse and unique site is located on Larkmead Lane, just north of the town of St. Helena. The vineyard is planted to Cabernet Sauvignon, Merlot, and other key Bordeaux varietals Cabernet Franc, Malbec and Petit Verdot - Larkmead has also recently started working with new blocks of Syrah, Zinfandel and Sauvignon Blanc. This unique micro climate gives the Larkmead wines their special character. Below the shallow soils lies about 300' of old riverbed gravel, which drains like hillside site. Average temperatures are more like Oakville - and cooler than St. Helena and Calistoga proper - due to morning and afternoon fog that rolls in through the Chalk Hill gap and Diamond Mt. Recent plantings over the last 5-10 years, with the best clones and rootstocks are only just beginning to come into their own. 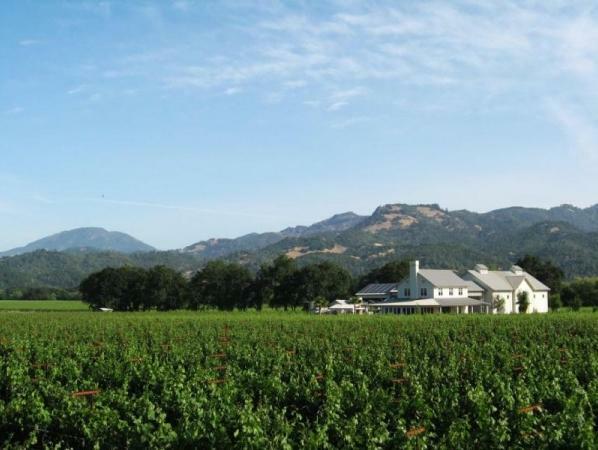 So much so that Larkmead's client list for their grapes now includes Ramey, Pahlmeyer, Rudd, Stag's Leap Wine Cellars and Shafer." Wine Enthusiast 97"With a tiny 3% addition of Cabernet Franc, this wine is defined by aromas of violet and crushed rock. Oak, clove and graphite dot a landscape of bold structure on the palate, with bright acidity balancing the concentration and grip." Robert Parker 95-97"The 2013 Cabernet Sauvignon Estate (2,775 cases produced of 100% Cabernet Sauvignon) exhibits lots of blueberry, blackberry, cassis, chocolate and graphite, full body, a majestic texture, and terrific purity and length. Drink 2016-2030+."